Today, I would like to introduce to a wonderful romantic suspense author, Joya Fields. After I finished my first novel, I began to look into the mysterious world of publishing. The first bit advice I ran into was how crucial it was to find a critique group. After months of searching, I was accepted into this amazing group call Lethaladies through the Romance Writers of America. I polished my first chapter for days then loaded it on the loop--- and couldn't catch my breath for several minutes after I hit send. Well, talk about acting like an over-dramatic ninny. I received back this amazing chapter critique from Joya which helped my story so much, I could have cried. Our friendship began. Joya has not only become a great friend, but amazing mentor. And I love her writing. 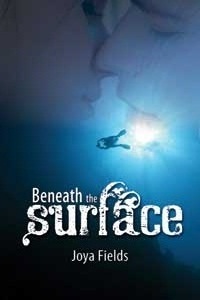 Breathe the Surface is a fantastic story. I discovered something very important about dreams from Joya. No one can reach their dreams without support. Joya, thanks so for your friendship and being here today, sharing your dream. I pray everyone with a dream in their heart will have someone like you to help them achieve it. Thanks very much for inviting me to your blog today, Nancy. What an honor to be here chatting about dreams. Such an awesome topic. My dream, even as a child, was to be a published author. I’ve been writing since I was little, kept writing through high school (on the newspaper staff at school), took creative writing classes in college, and majored in English. After graduating, I worked at The Easter Seal Society of Maryland where I used a lot of my writing skills to create fundraising literature. I put my dreams on hold for a little bit as I raised my family, and then tackled them again when my youngest started middle school. I submitted articles and short stories to magazines, and after lots of rejections, I started to get lots of acceptances. While publishing short stories and articles, I wrote novels and collected rejections for those. BENEATH THE SURFACE, my third full-length book was the one that finally got me a book contract. This is a great question! You’re right about people forgetting how to dream. Honestly, I think I’m one of the lucky ones because I’ve found my “calling.” Not everyone does, and that’s kind of sad, isn’t it? As far as what inspired me to dream, I’d have to say my family. My parents always encouraged me in my pursuits, and my grandmother had a major influence on my ability to dream. My grandmother and I would sit on her front porch swing for hours and I would tell her stories. Ridiculous stories. Things that could never realistically happen. But she never told me that. She’d just say, “tell me more.” She made me feel like I was good at story telling. Dream killers in the publishing world would probably be rejection letters. They are never fun, and you’re right—they can bring your dreams to a dead stop. I think the trick is to let the rejection bring you to a dead stop (gasp!). But only for an hour. It’s like the grieving process. Go through the steps of denial, anger, etc. and then have some ice cream and chocolate. Or a glass of wine. Then get back to work. So if something kicks you off your dream track, don’t ignore it, give it value. Then get past it and get back to work on your dream. You are in control of your dream. Nobody else. Just you. How do you keep the dream alive under extreme adversity external or internal? Keeping your dream alive under extreme adversity has to do with work ethic. I treat my writing as a job. Every day, people experience a bad day, or have something bad happen in their life, but they still have to get up and go to work. Life loves to throw curves our way, doesn’t it? Showing up is half the battle. I also think experience can help you get through adversity. Do you have one big dream? Maybe lots of little dreams is a good thing, too. In college, I dreamed of being a professional cheerleader. Without telling anyone, I tried out for the Baltimore Colts’ Cheerleaders. Honestly, I didn’t think I had a chance, but I figured why not try? Imagine my surprise when I made the squad! One of the coolest experiences of my life, but if I hadn’t tried—and been willing to fail—I never would have had that experience. Setting goals of ANY type—even if they’re not your “big” goal—can help you remember that, even in adverse conditions, you’ve made your dreams come true before, and you can do it again. For me, this question might tie back to the “extreme adversity” you asked about in the previous question. When my first book was released, we were going through a major move, my daughter was starting college, and my husband had a health crisis. We had so much going on that my book release almost took a back seat. I had to laugh, though, because it certainly kept everything in perspective. Dreams are great, but family comes first. Everything worked out fine. Again…life throwing curve balls, but dreamers need to learn how to duck out of the way or hit those curve balls out of the park. Oh my gosh. Hopefully achieving my dream of being published didn’t change me at all. Maybe a little—in that it reinforced that when you set high goals, you can achieve them. You’re right! Dreamers should never stop dreaming, and should always set the bar higher. I plan to keep chasing my dream of being an author by writing more, writing different genres, and going out of my comfort zone. My next dream is to be a best-selling author. How about that? May as well dream big, right? Thanks very much for inviting me to be a part of this awesome post, Nancy. Obviously, I’m a big believer in dreams, so I appreciate the opportunity to talk about them. I hope you continue to pursue your goals and dreams, and that everyone who reads this does, too! Brooke Richards survived the earthquake that took her parents and most of her leg, but she needs time to regroup. A trip to Florida for a state-of-the-art prosthesis and to visit her best friend Linda seems ideal. But the trip turns traumatic when Brooke witnesses Linda’s boat disintegrating in a fiery explosion. Police officer Garrett Ciavello believes the blast was intentionally set to hide something Linda found on a dive. When Brooke offers her expertise in underwater archeology, Garrett accepts her help with the investigation. But since his fiancée’s death years ago, Garrett has become overprotective, and as they are drawn to each other, Garrett realizes he will risk anything to keep Brooke safe. Brooke is fiercely independent. Garrett is fiercely protective. Will they heal each other’s wound and find a killer…before it’s too late? For the first time since the accident, Brooke forgot about her leg. Forgot about all she’d lost and focused on the way Garrett made her feel. She knew she needed to stop him. She should find a way to resist the temptation to be with him. But for a few minutes, she could enjoy the taste of him, the feel of him, couldn’t she? He dropped his hands to her waist and softened the kiss before trailing a line of kisses down her neck. A weak cry slipped from her mouth. “Garrett,” she whispered. She should stop this now before it got any more intense. He lifted her chin and forced her to meet his brown eyes, smoky with desire. Heat spiraled to her middle and she caught a whiff of his sawdust scent. “I…I can walk you back to your own room before I head to mine.” His voice broke as he whispered. She swallowed hard. She couldn’t do this right now with him. Too many obstacles stood in their way. But as she looked in his somber eyes, she realized none of those complications were bigger than her need for Garrett. It was a real joy...you are a real joy! Thanks so much for sharing your dreams with us. I know answering those questions wasn't easy. Lots of fun to chat about dreams. I think it's such a great topic for your blog. Super idea! Nice to see you here, Joya. I share your dream of being a best-selling author! May we both reach our goal in the very near future. Thanks for stopping by. Honestly, I already see you and Joya as best-selling authors. I love your Everly Gray Series and the Life Thread Trilogy. Thanks so much for stopping by. I love how kind Joya is in her critiques too. And she can bring out the best in my writing with one comment: can you dig deeper here. When I do, the results are WOW! I love this topic! You're post is wonderful and you couldn't have interviewed a sweeter person to talk about dreams! Joya, you are an inspiration and yes, a wonderful critique partner!! I couldn't agree with you more. Joya is a real sweetheart. I'm so glad you are enjoying the series. Thanks for stopping by. Nancy another wonderful blog post. I loved reading the post and the excerpt. And yes those rejection letters are really hard to take. Luckily I've gotten some that stand outside the norm of the form letter. One inparticular stands out in my mind every time when someone says rejection. After putting it aside for a few weeks I reread it and address all the things the editor had listed. The next editor I submitted to offered me a contract. So some of them can have a grain of truth to them no matter how much hurt they inflict. Luckily that was three books ago and I've had better luck since then. I've been so fortunate to belong to your crit loop and learned from your input to my work. So great to hear from you, Teresa! I haven't been on LL much lately, but hope to join in the fun again soon. That's a great point about rejection letters having constructive ideas in them. Congrats on your contracts and books! Your hard work is paying off.